Mad Matter: "Have I gone mad?" Alice: "I'm afraid so. You're entirely bonkers. But I'll tell you a secret. All the best people are." 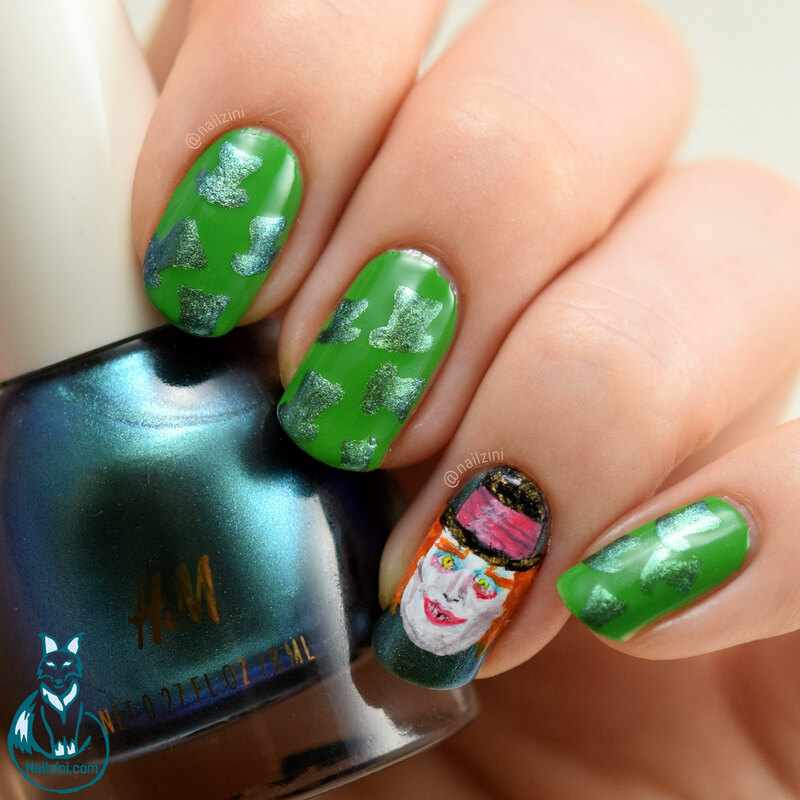 It's time for the last and my favorite character in my Alice Through the Looking Glass mini series. Johnny Depp is absolutely amazing in this role and really brings the Mad Hatter to life. He's just such a fun, goofy, eccentric character that you instantly fall in love with so I definitely had to include him! The light green base is two coats of "High Line Green" by New York Color. The stunning green and blue chameleon holo is "Science Fiction" by H&M and it is such a breathtakingly beautiful color. 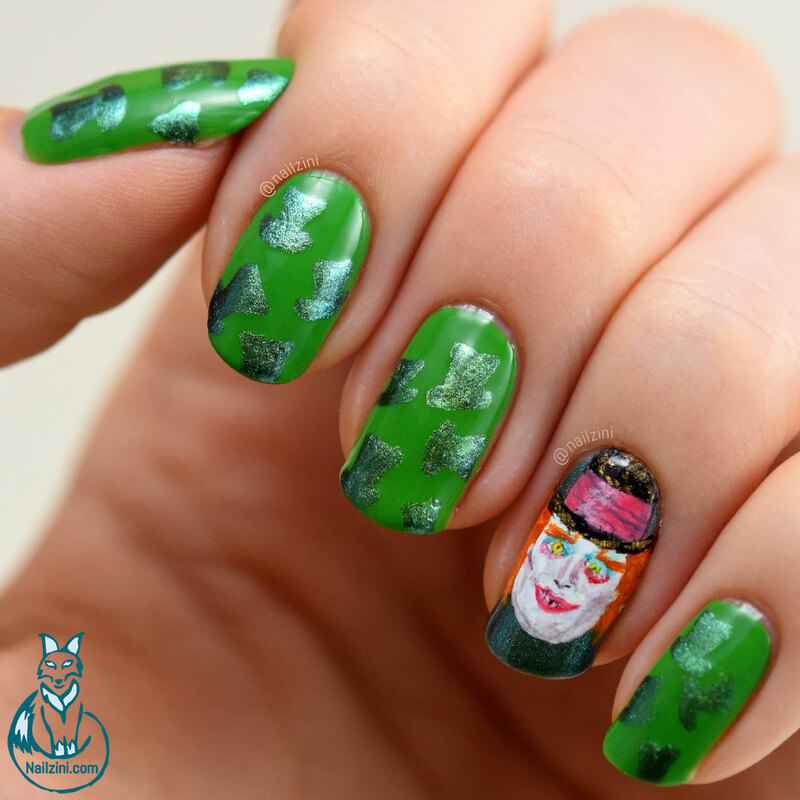 I applied two coats of this polish for the base of the Mad Hatter nail. 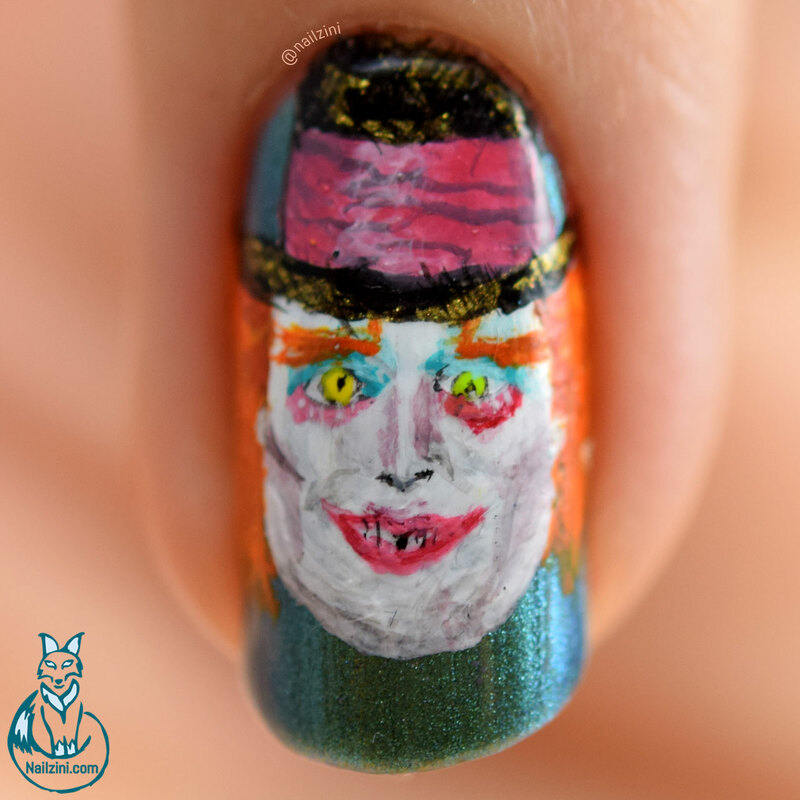 The Mad Hatter is hand-painted using Jo Sonja's acrylic paint and the "Tartofraises roubloff detail 00" brush by Adnails Manucure. I hope you all enjoyed my little mini series and let me know if you'd like any more of these!